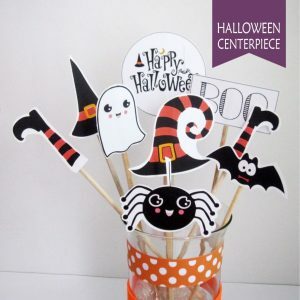 View cart “PRINTABLE HALLOWEEN CENTERPIECE” has been added to your cart. Are you ready to start your Halloween decoration? Today I bring you a nice project, very easy and fun to do. 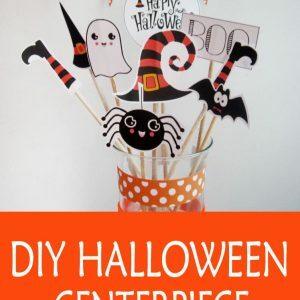 You can use this centerpiece to decorate the entrance of your house, to place sweets or in the buffet table of your Halloween party this year. For this project you need a base, I use a glass base that decorates with tape and foam. But you can engineer it to use what you have at hand. Download and print the free printable. Organize the centerpiece with the sticks. Add some ribbon and voilà. Place order Check your email Download!